Adriamycin—also known as Rubex, Doxil, doxorubicin and The Red Devil (informal term)—is a chemotherapy drug. More specifically, it's a type of anthracycline antibiotic that is an anti-tumor drug and is made from the bacterium Streptomyces. Adriamycin is commonly used to treat both early stage and metastatic breast cancer, usually in combination with other drugs. It is one of the chemotherapy drugs likely to cause hair loss, and can also cause heart damage for some people. Adriamycin can be used to treat early-stage or node-positive breast cancer, HER2-positive breast cancer, and metastatic disease. Adriamycin is sometimes combined with Cytoxan (cyclophosphamide) and/or 5-fluorouracil to make a cocktail of breast-cancer-fighting chemotherapy drugs. The newer "double dose" therapy uses a combination of high dose Adriamycin and Cytoxan in combination. This drug is also approved for the treatment of other cancers, including ovarian, bladder, soft tissue and osteogenic sarcoma, small cell lung cancer, thyroid and gastric cancers, as well as neuroblastoma, lymphoma, leukemia, Wilms tumors and Kaposi's sarcoma. Adriamycin fights cancer by slowing or stopping the growth of cancer cells. This drug gets into the cancer cells, "intercalates" within the DNA structure and stops cell replication by inhibiting the activity of an enzyme called topoisomerase-II. Adriamycin also forms oxygen free radicals, which damage cell membranes and proteins and may also affect the heart. Adriamycin is given by injection during a chemotherapy infusion. If the dose of Adriamycin that you are being given is very thick, it may be given as a "push" injection, rather than through an intravenous drip. This red fluid drug will be delivered in a large plastic syringe, which will be attached to your catheter tubing, and your infusion nurse will slowly depress the plunger manually, to inject the Adriamycin into your vein. Because this drug can cause heart problems, you should have a MUGa scan, LVEF (left ventricular failure) test or heart health evaluation done before starting treatment. This baseline exam will be used to compare with your heart function during and after treatment. Other tests for kidney and liver function may also be needed. It's important to note that Adriamycin is not only bright red when it enters your vein, but your urine will be red for a day or two after the infusion. While alarming, the color is simply due to the color of the drug and it does not cause bleeding in the bladder or kidneys. Use reliable contraception and avoid a pregnancy. Adriamycin can cause birth defects if given during the first trimester of pregnancy. Drink lots of fluids, especially water, to flush your kidneys and bladder. Talk to your oncologist before receiving any vaccinations. 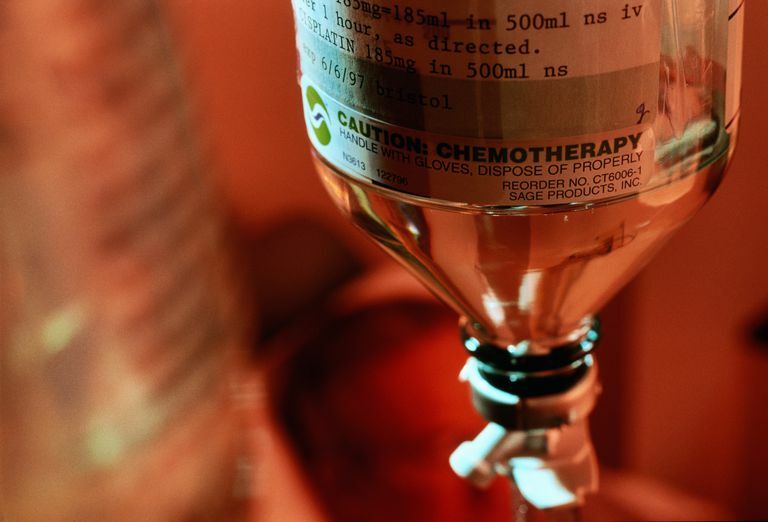 There are a few considerations with vaccinations during chemotherapy. Live vaccines should not be used, as these have the potential to cause an infection in people who are immunosuppressed. This includes immunizations such as Flumist (not the shot), MMR, and the chickenpox and shingles vaccines. While killed vaccines such as the Flu shot, Pneumovax, and more will not cause an infection, they may not be effective during chemotherapy. Some people, however, may benefit from immunization against the flu and pneumonia even during cancer treatment, but your oncologist will need to make a recommendation. There are a number of risks related to Adriamycin. Some, such as low blood counts (chemotherapy-induced neutropenia in particular) are common, and with double dose therapy your oncologist may recommend you receive a shot of Neulasta (a drug to raise the white blood cell count) the day after your infusion. Others, such as heart damage, are much less common. Infertility should be anticipated, and women who may desire to have a child after treatment should talk to their oncologist (and a fertility specialist) before beginning treatment. If the fluid leaks out and into your skin during infusion (extravasation), this can result in damage to the skin, and you should talk to your oncologist about any redness, rashes, or tenderness near the site of your infusion. Adriamycin can be a frightening drug due to its red color and potential for serious complications, but it is also very effective in reducing the risk of recurrence in early stage breast cancer, especially tumors that are node positive. National Cancer Institute. Doxorubicin Hydrochloride.